What’s the best way to keep your vehicle running smoothly and efficiently? If you guessed “regular routine maintenance” you are on the right track. However, times have changed, The once routine practice of bringing your car in for regular “tuneups” has become obsolete. In the past, an auto tune-up in Oakville generally consisted of inspecting and then replacing any worn-out parts causing reduced performance in the vehicle’s fuel and ignition systems. In today’s modern cars, the only parts that typically require regular replacement are spark plugs and the cabin air filter. Replacement of those two items is already included in your vehicle’s routine maintenance schedule! Contrary to popular belief, replacement of the cabin air filter has not been shown to actually improve fuel economy. However, replacement of a clogged filter can improve your vehicle’s acceleration up to 11%. Today’s spark plugs are controlled by computers that keep the spark timing and air/fuel combination in check. This generally will compensate for the wearing down of spark plug electrodes over time. However, regular replacement of the spark plugs is still recommended every 100,000 miles to ensure top performance. In Oakville a standard tune-up would also include inspection and/or testing of the emissions, ignition, and fuel systems. This would reveal any faulty vacuum hoses, oxygen sensors, or other parts in need of replacement. These routine “check-ups” are important. A faulty oxygen sensor, for instance, has the potential to reduce fuel economy by up to 40%! However, these routine systems inspections are included in your vehicle’s routine maintenance schedule. So there’s no need to spend your money or time going in for extra tuneups! What should you be doing to extend your vehicle’s life and ensure it’s running at its best? With today’s cars, the routine maintenance appointments outlined in your vehicle’s owner’s manual are actually all you need (barring any out of the ordinary issues)! Modern cars are designed to function efficiently for long stretches with minimal required maintenance. It’s a huge improvement compared to cars of the past, with oil changes required every 3000 miles and a tune-up before and after each long road trip! Unscrupulous auto shops may still perform this outdated and frankly, unnecessary service if you come in requesting a “tune-up.” Don’t waste your time or your money! 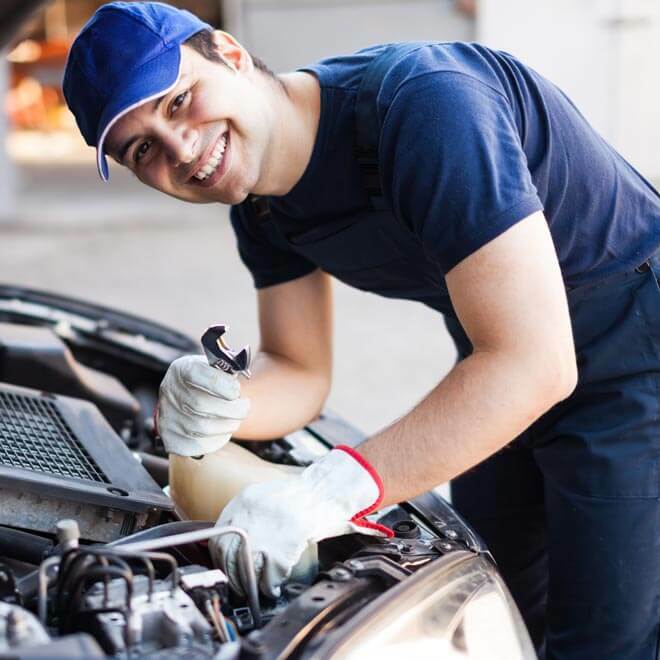 Unless something truly seems “off” about your vehicle, the only times you need to see your mechanic are outlined right there in your owner’s manual. If you live in or near Oakville, auto service you can trust is available with us! We would love to help you keep your vehicle running at its best. Check your owner’s manual, then contact us to schedule your next routine maintenance appointment!